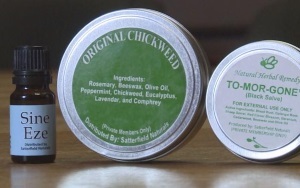 Samuel Girod was sentenced last summer to 6 years in prison for various charges relating to the manufacture and sale of herbal products, including a salve which the Kentucky Amish farmer claimed could be used to treat cancer, among other ailments. Some of Girod’s products included language such as “Cures Cancer”, as well as “very good at removing tumors”. The Lexington Herald-Leader reports that the U.S. 6th Circuit Court of Appeals upheld Girod’s conviction earlier this month. As he did during the initial case, Girod acted as his own attorney for the appeal. The arguments were to no avail, as the three-judge appeal panel rejected the appeal. 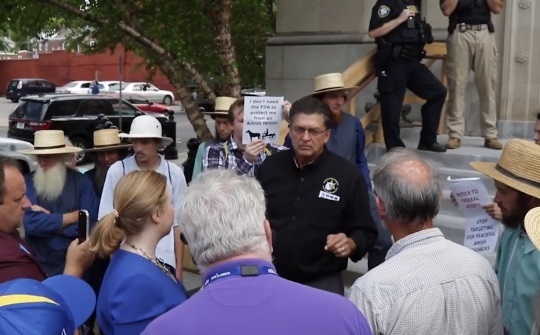 Prior to his sentencing, fifty fellow Amish from his home settlement in Bath County, KY appeared at the state capitol. His case reached far beyond his local community, however, with over 25,000 signing a petition for his release. Does Girod deserve to be in prison? We discussed that question on the original post on this topic here. There is no note in the latest piece as to whether further appeal possibilities exist. Girod is scheduled to go free in April 2022. This is awful – embarrassing really. We have so many problems in this country; we spend tax dollars on this nonsense? We let crooked politicians go free all the time, and we’re going to jail Sam Girod over selling “natural products’? A false claim on a natural product doesn’t warrant six years jail time. Begging the question is why would the Feds severely go after this type of wrongdoing on one farmer? Instead they should aggressively investigate the cosmetic industry and speed ahead to pharmaceutical companies. I recall being in college in an Ethics class, studying false advertising. Ben and Jerry’s put the wrong label on their ice cream, and paid off the food and drug administration to allow them to use the labels for a certain amount of time. No jail time on either side. And you know this happens every day with giant companies. Yet the Feds jail a lone Amish farmer? Why? I’m not saying false claims shouldn’t be investigated. Perhaps a fine was in order for Sam Girod. Jailed for six years? Now this punishment is just plain wrong. Some legal advocates should pro bono on behalf of Girod pronto. Please, someone post actions that we can take to help Sam and his family/community…this is a disgrace! All who are concerned can write, call, e-mail their state Reps, reps in congress , the senate, & POTUS. Some who know how can get up petitions and send result in to. Let It be known that vaccines kill more people than salve ever did. The Amish, Mennonites, etc. can have all of you send letters to our POTUS. You need to flood Our White House with your disagreement. Sam should not be in any Prison, he should b home making salve for people. All of you can refuse to sell any of your other products, including food or serve at restaurants, to any politicians because of your faith, forbids it. It takes five minutes to complete the form. Are the Amish to continually be singled out? Yes, it was wrong; yes, some form of fine would have been appropriate. Six years in prison is beyond ridiculous: it is a crime and a shame! One glamce into the ads in many Farmers’Almanacs and other respectable periodicals is quite telling: there you will find everything from charlatans who contact spirits to cures for yes, ordinarily debilitating alments which are chronic. I wonder that the many tabloids are still in print for all their lies, scandals and libel. WHAT, PRAY, would move that court to put a farmer into prison? He is AMISH. He has no high, influential connections, no Hollywood friends, and is not a multi million dollar corporation with a team of sharks, excuse me, lawyers to make mincemeat of his oponents! America, how SAD and how far we have fallen when we pardon outright murderers and imprison people over whar certain celebrity “Doctors” do DAILY on television! This is an ABOMINATION! A CALUMNY and a DISGRACE of the American justice system! This is an atrocity on an American citizen, the FDA & Judges should be the ones in prison. Attacking this maker of natural cures for the sick & infected. In the beginning of America these type of people were looked forward to as they pedaled their cures about by horse & mule in the countryside. If his cures did not work, people simply did not buy it. His cures may work on some people, we are all made different. The FDA should be abolished and start a-new. POTUS should PARDON this man for his good work. He is still not above the law, no matter how many people love him and believe him. To me, he’s no different than a snake oil salesman of old. Why don’t the folks who’ve been “cured” submit to testing? (Oh, that’s right, they don’t trust “science.”) The whole WORLD has hoped/prayed for a cure for cancer for centuries. Prove it. And also ask those who believed in his cure but WEREN’T cured of cancer to come forth with THEIR stories. He knew what he was doing, had (and fired) the attorney he had, chose to represent himself. Other drugs we use today are made from “natural” substances. In THIS country (still the U.S.A., I believe) we don’t like it when people deceive us, especially when it comes to our health. As long as the Amish live here, (and according to their own “rules”), they are expected and directed to obey the laws of the land. Maybe he wouldn’t have this problem if he simply didn’t claim the stuff cures cancer. Alice, Governments should not be able to dictate who or what they take to cure an illness. Especially not put in prison, someone could sue for false advertising, but a cure might work for some & not for someone else. It is a little like the Gov. at Waco, Ruby Ridge and others, goons attacking citizens, it is to silence the public into submission. Not fair at all. A local drug dealer gets three years for selling fentanyl laced heroin where two people died. He will be out in 18 months. I’m writing POTUS as well. WHAT, PRAY, would move that court to put a farmer into prison? He is AMISH. He has no high, influential connections, no Hollywood friends, and is not a multi million dollar corporation with a team of sharks, excuse me, lawyers to make mincemeat of his oponents! America, how SAD and how far we have fallen when we pardon outright murderers and imprison people over what certain celebrity “Doctors” do DAILY on television! While I agree that any concoction advertised as a medicine or herbal remedy should be tested and approved to weed out potential harmful drugs and people/companies trying to take advantage of others. The problem is that this is really not the case for large pharmaceuticals. The government approves big pharmaceuticals to sell practically anything, including known drugs which cause thousands of deaths a year. The drug business in the U.S is largely run to benefit large pharmaceutical companies who can afford to pay scientists (that are crafty enough to get very harmful drugs approved), patents, and lobbying. Its sad many more dangerous drugs are on the market today, approved by the FDA, while an Amishman is harassed for a largely benign herbal concoction. I think I missed something, Mr. Girod is jailed in Pennsylvania? Does anyone know how we can help the family? This FB page gives his location as the Federal Correctional Institution in Loretto, PA.